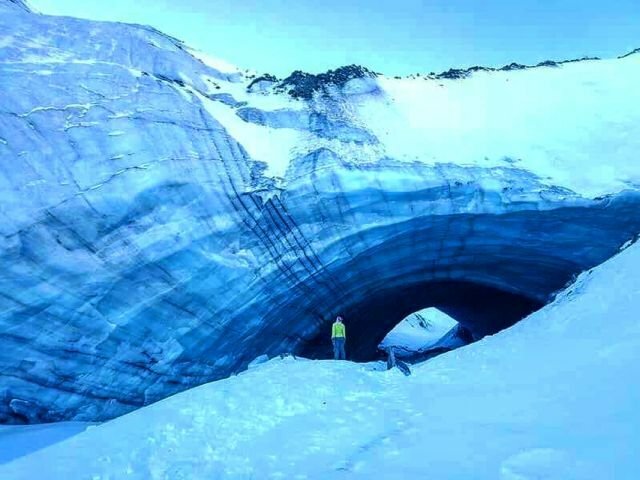 Jeff Bond of the Yukon Geological Survey says there’s no doubt about it — the spectacular ice cave near Haines Juntion ain’t what it used to be. “It’s definitely changing, it’s… ice is peeling off on the inside, and debris is falling off the front or, you know, the entrance and the far side as well,” he said. That prompted the Geological Survey to warn people against entering the potentially unstable cave. It’s on public land, so there’s nothing to stop people from going.